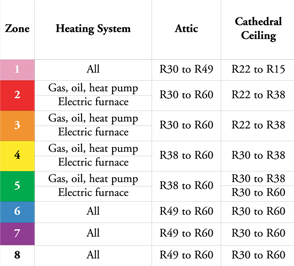 An attic is a very common place to have insulation installed, with the attic contributing to the home's overall energy efficiency level in a great way. Heat can escape during the winter through your home's attic, that's one of the reasons why attic insulation is so important for your home. Replacing your attics insulation is one of the most affordable & cost effective ways to improve the energy efficiency of your home. This chart and map below shows the different R-Value requirements in different areas within the United States. Rochester Minnesota is in zone 6, requiring an attic R-Value between R49 to R60. 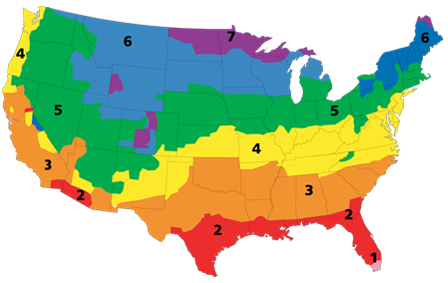 Northern Minnesota falls into zone 7, which carries the same attic R-Value.